Join me for four nights in Iceland to see highlights of the Golden Circle and view the Northern Lights! Most people that visit Iceland go in the summer, but there's a whole other side to this place in the winter months. (It is called "Iceland," after all.) Spend five days doing really cool things like hiking glaciers, snowshoeing through Þingvellir National Park, reflecting on life under the Northern Lights, and warming up in Geysir Hot Springs, all the while staying in a character-filled renovated farmhouse. See another side of this amazing country and see it in a small group - there will be no more than 14 people on this trip! Travel from Reykjavík to a lava cave in the Bláfjöll Mountains. Explore the cave before continuing on to Þingvellir National Park. 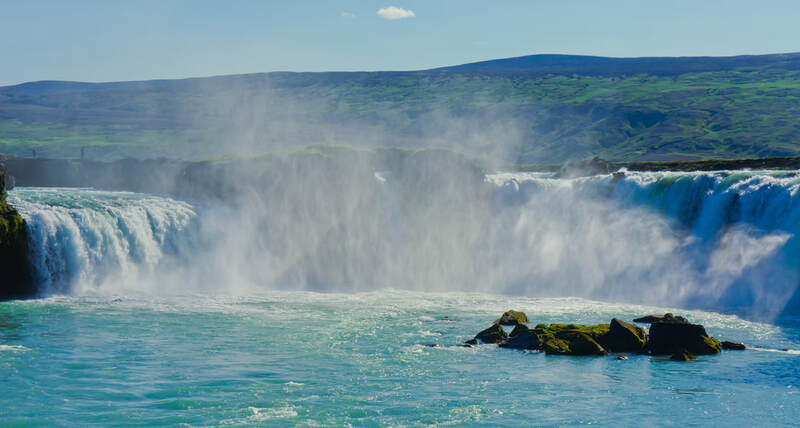 Visit the park including sights like Geysir Hot Spring and Gullfoss Waterfall. In the evening, enjoy the Northern Lights in the Golden Circle before returning to the farmhouse in Álftröð. Breakfast, lunch and dinner are included today. 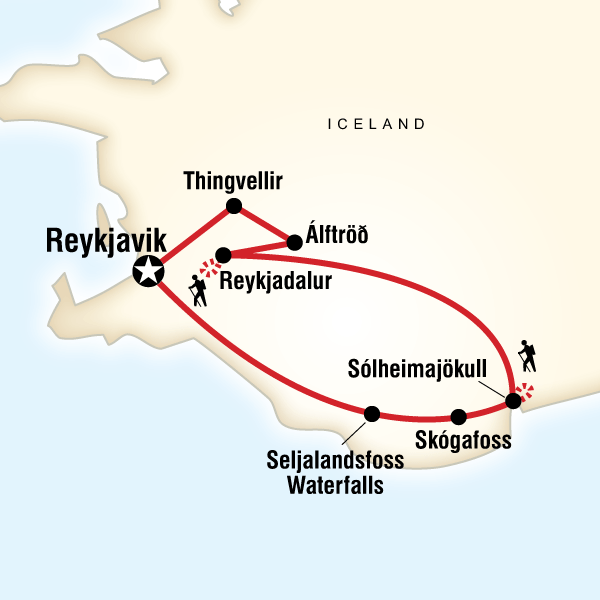 Hike or snowshoe in the Reykjadalur area. Opt to hike to the hot springs, or discover a secret lagoon. Enjoy cooking dinner together in the farmhouse before another evening viewing the Northern Lights. ​Breakfast, lunch and dinner are included today. Travel to the Sólheimajökull Glacier for a stunning hike (optional activity). Drive the scenic southern coast and visit the Skógarfoss and Seljalndsfoss waterfalls on the way back to Reykjavík. Enjoy a final night in the city. Breakfast and lunch are included today. Land-only pricing based on double occupancy is $1,529 per person. Traveling solo? We can match you with a roommate for no additional charge. For more information or to book, contact Rene at 866-869-1760 or fill out the form below.